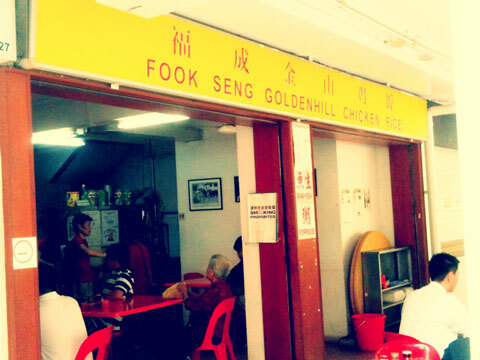 Looking for a nice place to have lunch on a lazy Sunday afternoon, I finally decided upon Fook Seng Goldenhill Chicken Rice, on a recommendation by a family friend. 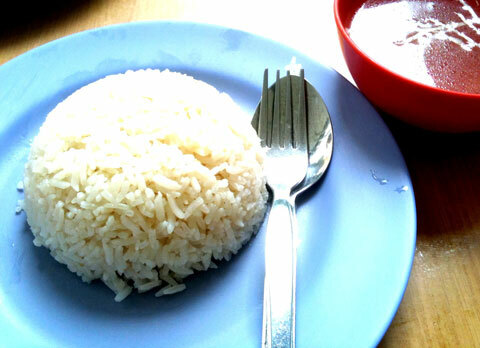 It is located in the sleepy neighbourhood of Jalan Rumah Tinggi, where Chef Ronnie opened the shop in 1995 to fulfill a promise to his late father-in-law who craved for good chicken rice. The “Fook Seng” part of the name is named after Chef Ronnie’s baby son while the “Goldenhill” part comes from its location, as Rumah Tinggi means “upland mansion”. Despite it’s quiet location, it is still very popular with the people who live there, as it was quite crowded even on a late Sunday afternoon! 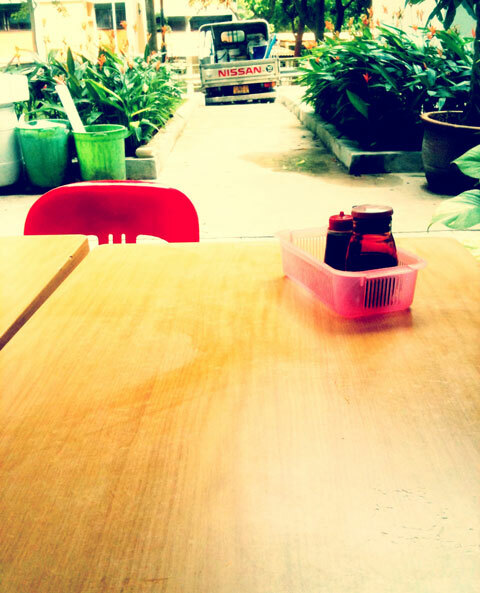 After placing your order, you just sit back and relax, taking a moment to revel in the serenity of the environment. It won’t take long for the chicken to arrive, that’s when you dive in with gusto! The rice is quite strong with flavour but the chicken tastes much more placid. 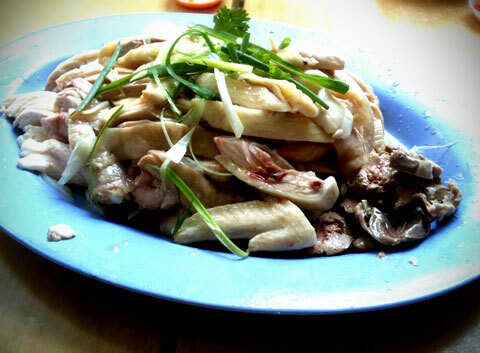 However it is less oily and the meat is clean and tender. 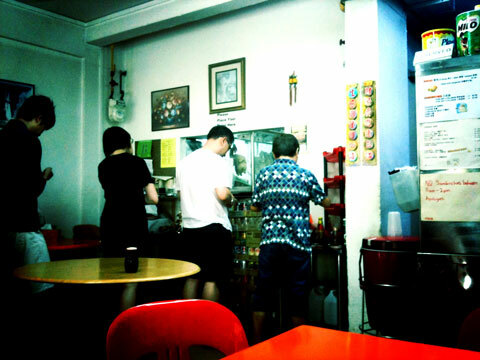 5 Responses to "Fook Seng Goldenhill Chicken Rice"
Thanks! Yeah the chicken was kinda tasteless actually, but overall it’s not a bad place for lunch 🙂 And don’t mind if I add your blog to my roll!